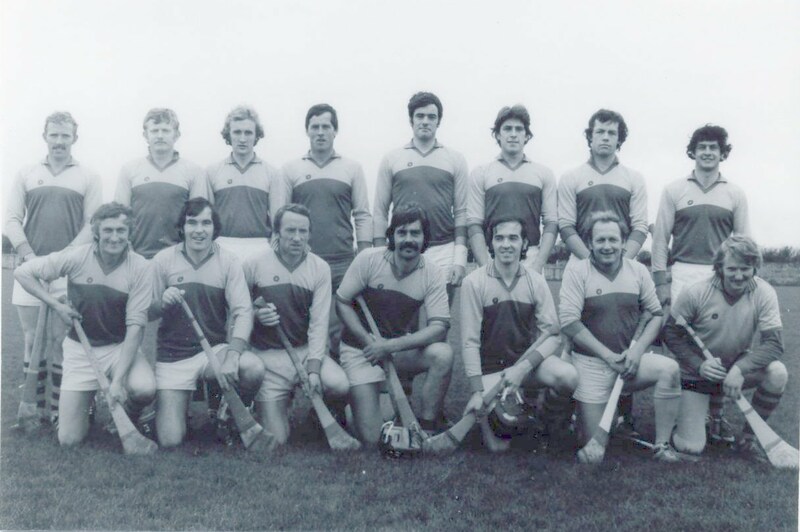 This was a crunch group Junior C championship, with a quarter-final slot effectively at stake. Both sides played out a thrilling match in which the final result could have gone either way. In the end however it was the visitors who took the spoils as they scored a late free to take the points. TAD took the lead in the first minute with the first of their nine pointed frees. They followed up on the fifth minute with a goal into the bottom corner. Kinvara responded shortly after with a Shane Sullivan point from play, followed by a Ronan Kilkelly free. TAD edged further with another pointed free, before Ronan Kilkelly crashed home a near free to the back of the net on the 11th minute (score now Kinvara 1-2, TAD 1-2). Again TAD scored two more pointed frees to take the lead. A wonder save from Kinvara' goalie Tommie Hanlon kept us in touch - a save that would probably win Save of the Year if made in Croke Park! A Gerry Huban point from play reduced it again, before yet another pointed free from TAD restored their two point lead. Shane Sullivan struck his second point from play, only to be matched by TAD's opening point from play on the 23rd minute. They scored another free on the 30th minute, with Kinvara's Ronan Kilkelly shooting one over himself in first half injury time. Half-Time: TAD 1-7, Kinvara 1-5. Kinvara needed a good start to the second half, but the scores proved difficult to get. In fact it took until the 38th minute for the half's opening score, coming from yet another TAD free. But a 5 minute spell in the middle of the second half threw this match back in Kinvara's favour. In that time Francis Comyn shot a point from play, but also Ronan Kilkelly completed his hatrick of goals with two more green flags from the '21. The score now read Kinvara 3-6 to TAD's 1-8, and a four point lead. But TAD reduced that lead a minute later with a goal of their own. Then on the 53rd minute they levelled matters with a point from play. Kinvara took the lead again through a Ronan Kilkelly '65, but that score on the 54th minute was to be our last. TAD levelled through a free on the 55th minute and this match was there for the taking for both sides. Kinvara shot three wides in the closing five minutes, and so it was another one of those TAD frees that sealed their win on the 30th minute. Kinvara had two minutes injury time to try level, but the TAD rearguard held firm. So, overall a disappointing result for Kinvara Junior Cs after such a massive effort. Our concession of so many scoreable frees was a major problem, as they scored 0-9 from them. We too had our frees, but missed a few, although they were from distance. Our ability to shoot goals from '21s kept us in this match, but we cant really rely on those all the time, and will have to improve our efficiency from general play. There was some very good performances throughout, with all players giving it all. Tommie Hanlon, Aidan Fahy, Ollie Bergin, Mikey Kavanagh, Mike O'Connor, Niall Kilkelly, Martin O'Connell, Ruairi Quinn, Francis Comyn, Ronan Kilkelly, Gerry Huban, Dylan O'Hanrahan, Declan Keane, Jason Huban, Shane Sullivan. Subs (all came on): Collie McGarry, Fintan Byrne, Tommie Kavanagh.